Germany funds establishment of education and library facilities in Baghlan and Kunduz provinces in an attempt to improve the local education situation. New public buildings–one administrative building for the Department of Education (DoE) in the district of Baghlan Markazi and a new school in Dahana-e-Ghori district–were handed over to Afghan officials in Baghlan province. In Kunduz, the Qal-e-Zal district public library officially reopened following renovation work by the local government, and on 26th January construction started on a new public library in Khan Abad. In Baghlan-e-Markazi, the new administrative building will be used for management and administration of primary and secondary schools in the district. The new school in Dahana-e-Ghori district has eight classrooms, three administrative offices and a library. Located near Dara-e-Kalan village around 10km from Pul-e Khumri, the new building can accommodate up to 514 students, both girls and boys. The renovation of the Qal-e-Zal public library and start of construction of a new library in Khan Abad will improve access to information and literature. The libraries will be particularly helpful for students and aspiring public servants, by making it easy for them to study and prepare for exams. With better opportunities for education, they will be able to offer proper services for the community in future. In Qal-e-Zal, the newly furbished library now stocks more than 1,500 volumes of books on a wide range of subjects. In Khan Abad, the library will also be stocked with up to 1,500 books, furniture and facilities, which will generate a comfortable atmosphere for learning and study. 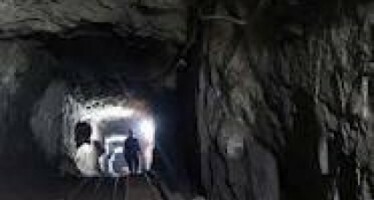 In Baghlan, both projects together cost AFN 35 million, with the Baghlan Department of Education (DoE) receiving technical and financial assistance from Germany and its Regional Capacity Development Fund (RCDF) for Baghlan. 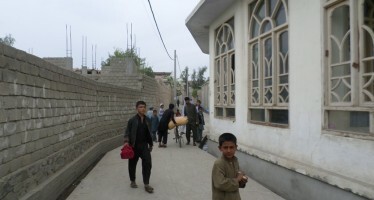 In Kunduz, the projects cost a total of AFN 4.25 million, also financed by the German Government. As part of Germany’s cooperation with Afghanistan, the RCDF, which is financed by the German Federal Ministry for Economic Cooperation and Development (BMZ), is implemented by Deutsche Gesellschaft für Internationale Zusammenarbeit (GIZ) GmbH. In six provinces in northern Afghanistan, RCDF supports its partners’ development priorities in the provinces and districts, while at the same time providing training and coaching programmes for civil servants. With its broad range of activities, the RCDF aims at increasing Afghan ownership of the development process, strengthening state institutions and promoting transparency and inclusiveness.